amazing costumes, sets and props. 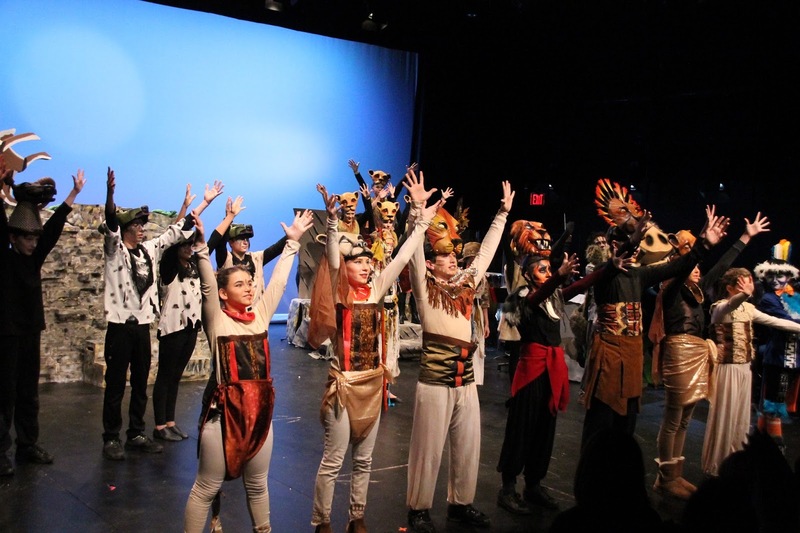 Greenwood’s recent production of The Lion King Jr. was our most ambitious ever. Our new fabrication room played an important role in bringing the Serengeti to life. Putting on a play like The Lion King takes lots of costumes, sets and props - and somewhere to create them. 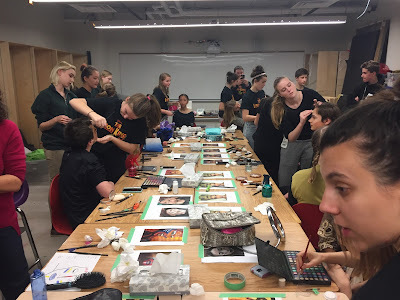 In the runup to opening night in December, the fabrication room provided plenty of space for students to work on everything from painting scenery to sewing a gown. On show nights, the fabrication room also doubled as a dressing room. Move-in day is challenging for any school production. The large scale of the sets for this year’s Junior Play made this task even more challenging. Having the fabrication room located within steps of our performance theatre, minimized the moving distance (and the risk of accidental damage to sets and props). Additionally, the doorway of the room is designed to accommodate an 8-foot scenery flat with ease. During the performance, this area also doubled as a dressing room. Reconfiguring the furniture provided an ideal surface for applying makeup, styling hair and making last-minute costume adjustments before students took the stage. Amelia Ferguson ('17) models one of her fashion creations at our Winter Arts Showcase. "It felt professional - like a real fashion studio," she says of the fabrication room. 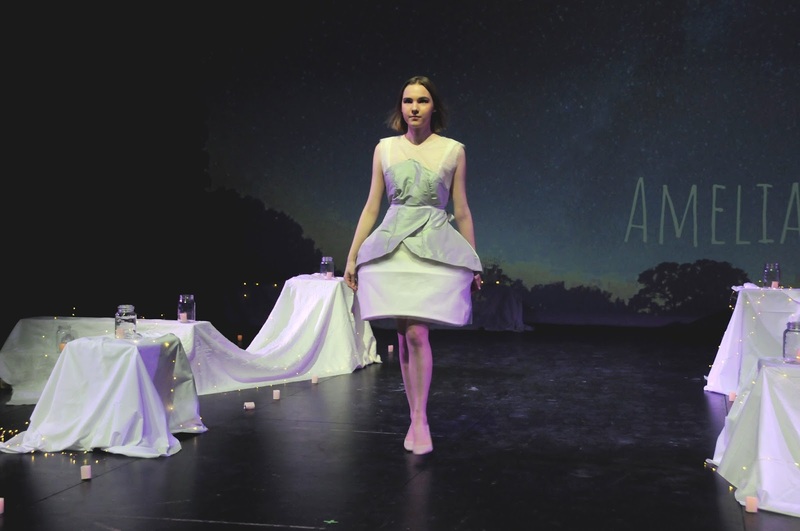 The fabrication room isn’t just for plays; it also supports our senior fashion classes. Rather than being packed away after each use, sewing machines are ready to go throughout the semester, providing students more work time by reducing set up and clean up time. Recently installed shelving also allows students to safely store their work between classes. Amelia Ferguson (‘17), a fashion student and Junior Play crew member, has really enjoyed her experience in the fabrication room so far this year. Students have already produced amazing work in this space. We look forward to seeing what they create next!